Charming home located at the end of a cul-de-sac. The main level is open and airy with high vaulted ceilings. You will appreciate the large bedrooms located on the second floor for privacy. Beautifully landscaped and the back yard is fully fenced. Close to parks, schools, trails, fitness center, golf course, shops, restaurants, and military bases. Windows, roof, paint, gutters, garage door and fence replaced in 2017, water heater in 2015. 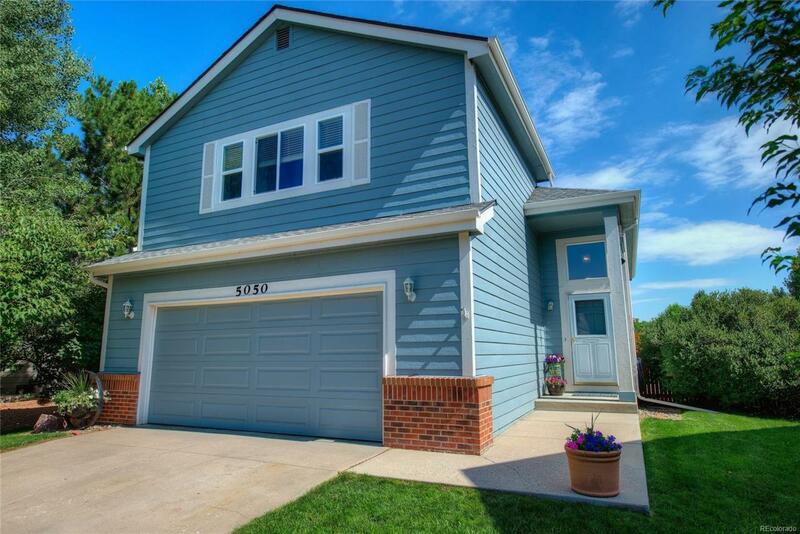 Dont wait for a new build when this stunning home is move-in ready. Offered by Blue Picket Realty.